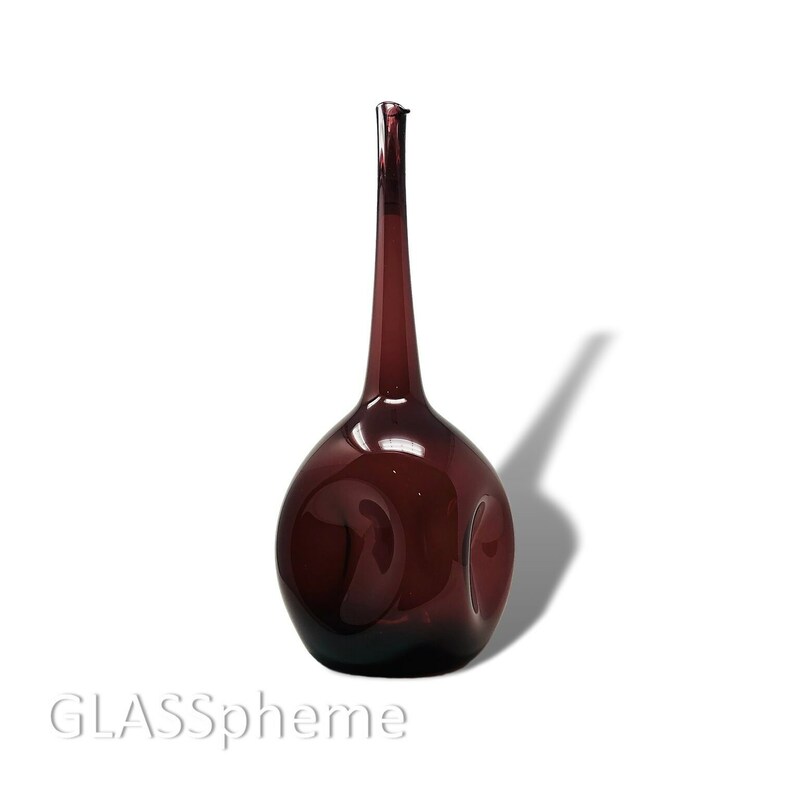 This is an AWESOME and highly coveted piece of mid-century US blown glass by Zeller, another now-defunct Ohio River Valley handmade glass blower. 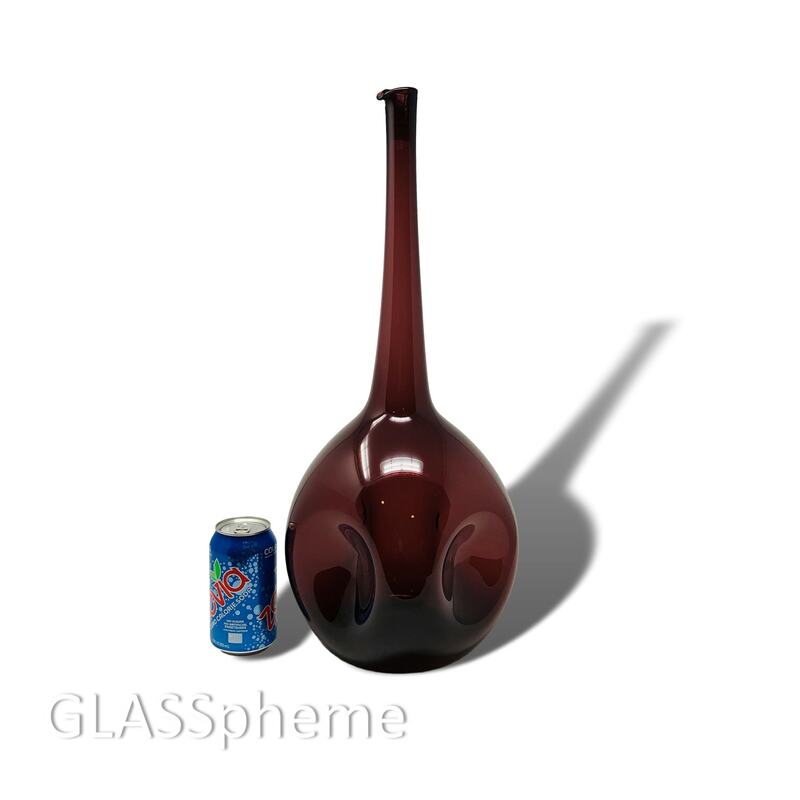 Blenko collectors seem to have a special affinity for Zeller's dramatic oversized vases, possibly because Wayne Husted himself is purported to have designed them (I've read this several places but have no independent or authoritative sourcing here). We have two other amethyst Zellers in in the shop--this one, significantly deeper and darker than the other two. 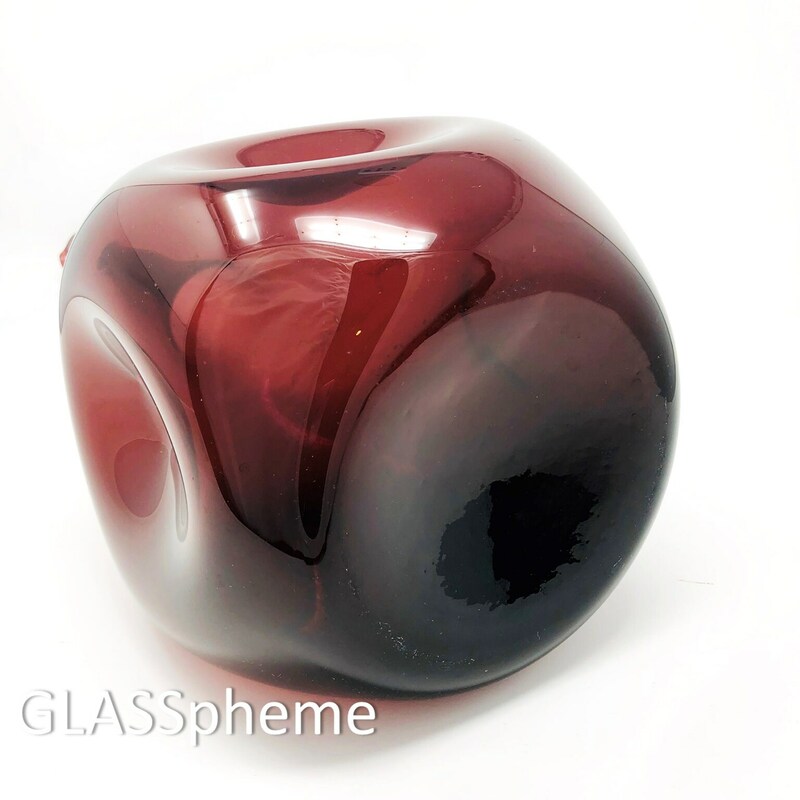 I also believe that this piece is a bit thicker and heavier than most Zellers of this size--which would explain the extra depth and incredible beauty of this color.